London to Luxembourg . . .
Eurostar high-speed trains link London with Brussels throughout the day, taking just 2 hours. 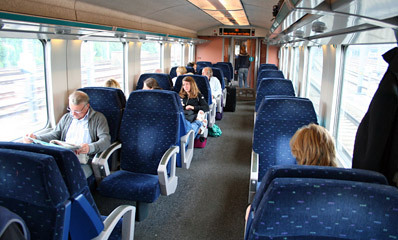 InterCity trains run from Brussels to Luxembourg every hour, taking 3h18. Here is a selection of journey times from London to Luxembourg. 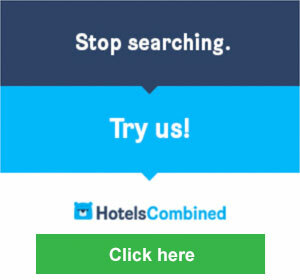 You can double-check them for your own date of travel at www.b-europe.com. If you prefer to take Eurostar to Paris then a 200mph TGV from Paris to Luxembourg, journey time similar but less frequent and less flexible, see here. CFL (Société National des Chemins de Fer Luxembourgeois), www.cfl.lu. 24 January 2019. Train times valid 9 Dec 2018 to 14 Dec 2019. This is the recommended route, with one easy same-station change in Brussels. There are regular Eurostar high-speed trains from London to Brussels throughout the day, taking 2 hours. InterCity trains then run from Brussels to Luxembourg every hour, taking 3 hours 18 minutes. You can check these times for your own date of travel at www.b-europe.com. If you prefer to take Eurostar to Paris then a 200 mph TGV from Paris to Luxembourg, journey time similar but less frequent and less flexible, see the section below. Change trains in Brussels onto the hourly InterCity train to Luxembourg, no reservation required. Stop off if you like. * On Mondays & Fridays from 31 March to mid-September 2019 the 06:47 Eurostar will run EARLIER, leaving London 06:13, Ebbsfleet 06:30, Brussels 09:22. Ashford (Kent): Only one or two Eurostars per day to/from Brussels call at Ashford in Kent, see www.eurostar.com to check times. Times vary so always check Eurostar times at www.eurostar.com & Brussels-Luxembourg times at www.b-europe.com for your specific date of travel. Change trains in Brussels - Remember the 30 minute Eurostar check-in! Stop off in Brussels if you like. From £50 one-way or £69 return 2nd class. €10.80 one way, €21.60 return in 2nd class. €16.40 one way, €32.80 return in 1st class. This is a fixed-price flexible fare, good for any train. - For London to Luxembourg, simply buy a ticket to Any Belgian Station at www.eurostar.com, this is valid to any Belgian station including the last stop in Belgium before Luxembourg, which is Arlon. You can print out your own ticket or collect it at St Pancras. - Booking opens 120 days before departure. - Business Premier & Standard Premier = 1st class with drinks & meals. Standard = 2nd class. 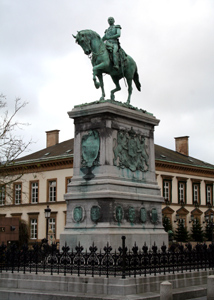 - Buy your Arlon-Luxembourg ticket online within 30 days of travel at www.b-europe.com. Step 1, go to www.eurostar.com and buy a Eurostar ticket to the destination listed under Belgium as Any Belgian Station. This is valid to any station in Belgium using any suitable connecting train within 24 hours of your arrival in Brussels, and (on your return journey) in the 24 hours before your Eurostar departure from Brussels back to London. So it's valid to the last station In Belgium before Luxembourg, which is Arlon. Now all you need is a ticket for the Arlon-Luxembourg bit. Step 2, buy your Arlon-Luxembourg ticket online at the Belgian Railways website, www.b-europe.com, any time within 30 days of travel. Using the online booking system, simply type 'Arlon' and 'Luxembourg', and enter your dates of travel. In the search results, pick any train departure, it doesn't matter which train as the ticket will be an open ticket valid on any train on that date, no reservation necessary or possible. You pay by credit card and print out your own ticket in .PDF format, easy! Once bought the ticket is non-refundable, only valid on the date chosen, and the date cannot be changed There's no need to get off the train in Arlon, you can simply travel from Brussels to Luxembourg on the direct hourly InterCity train using the combination of your Eurostar ticket to Any Belgian Station and your Arlon-Luxembourg ticket. Simples! If you want to stop off in Brussels for more than 24 hours even just in one direction, then you must buy a London-Brussels ticket at www.eurostar.com and a separate Brussels-Luxembourg ticket at www.b-europe.com for around €43 one-way (youth one-way around €31 if you're under 26, although no senior fares) or €48 for a one-month return. You print your own ticket and it's valid for any train on the date it's booked for. 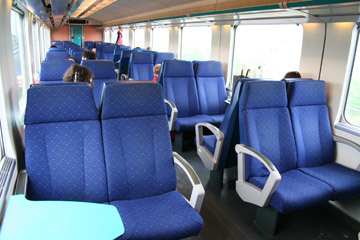 The Brussels-Luxembourg InterCity trains run hourly throughout the day. Important tip: There's no catering on these Brussels-Luxembourg trains, so bring your own food & drink for the journey, there are plenty of places to buy food and drink inside Brussels Midi, including a minimarket. You can travel to Luxembourg via Paris if you prefer, using Eurostar to Paris Gare du Nord in 2 hours 20 minutes, a 10 minute walk to the Gare de l'Est, then a high-speed TGV from Paris to Luxembourg taking just 2 hours 12 minutes. This route is less frequent as there are only five daily TGVs from Paris to Luxembourg compared to hourly InterCity trains from Brussels to Luxembourg. It's less flexible, as TGVs are reservation compulsory and your ticket will only be valid on one specific train, whereas the InterCity trains from Brussels are walk up, hop on with flexible fares valid on any train. It's also usually more expensive than going via Brussels, but if you book in advance you can get cheap advance-purchase fares for the TGV that make the price similar to the Brussels route. The key advantages are that you can arrange to stop off in Paris if you like. All the Paris-Luxembourg TGVs are fully refurbished with interiors by designer Christian Lacroix. 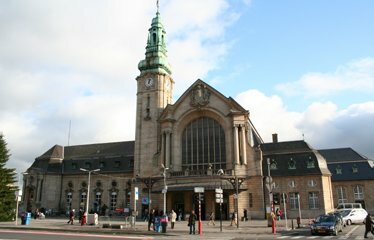 To check train times & fares and book London-Luxembourg tickets via Paris, simply use www.loco2.com. 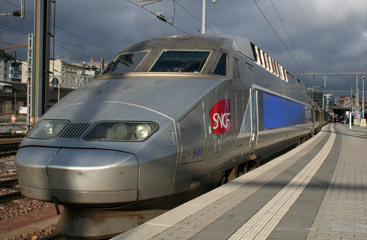 A TGV for Paris at Luxembourg. Just 2 hours 6 minutes! Take a good guidebook. For the independent traveller, I think this usually means either the Lonely Planet or the Rough Guide. I personally prefer the Lonely Planet, others prefer the Rough Guide. Both guidebooks provide the same excellent level of practical information and historical background. However, for Luxembourg the Bradt guide is also worth considering as it covers Luxembourg in depth, not just as an adjunct to Belgium. Whichever you buy, you won't regret buying one!